TPT just reached 100K likes on facebook, so they are offering a 10% flash sale through 10/14. Use the code FB100K to get the 10% off. 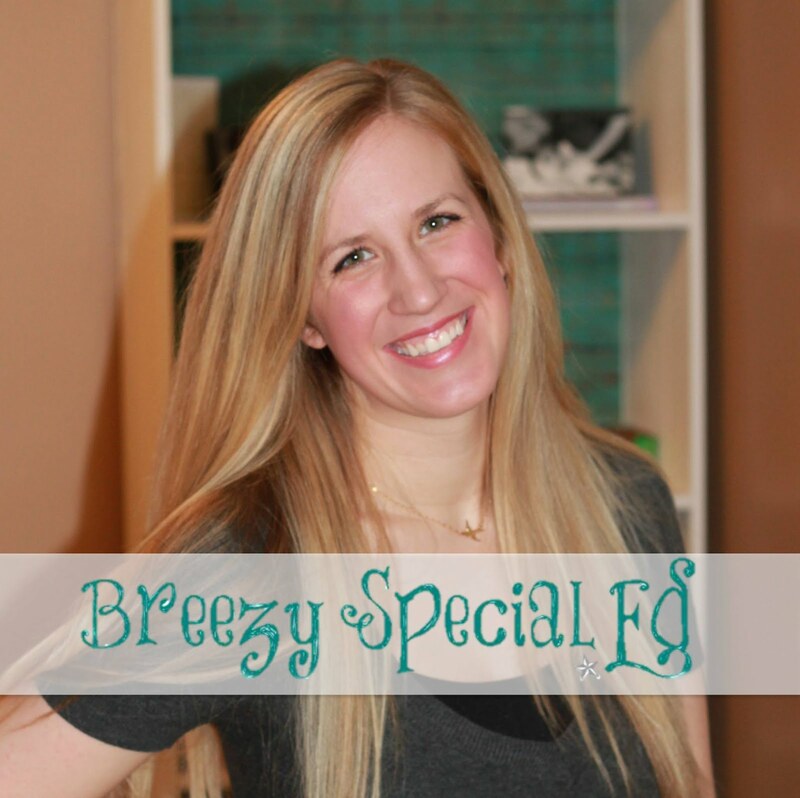 Plus, I put everything in my TPT store on sale too, so you can all get some double bonuses! Two of my new favorite products are my task cards. These are great to use during independent work time. The dollar over method is a popular one in special education. In case you aren't familiar with it, the idea is the student counts out the dollars for the number in front of the decimal point and then adds one dollar for the change. 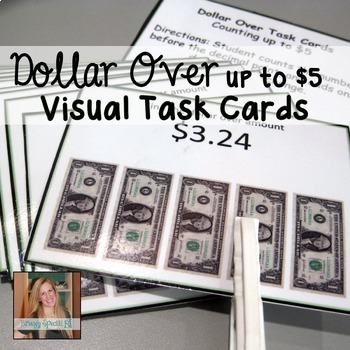 These Dollar Over task cards practice that skill by having the student circle the amount of dollar they need according to the price on the card. These "Do you have enough?" 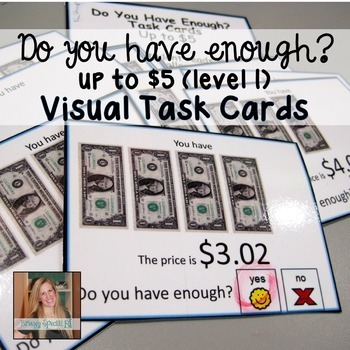 task cards focus on the student counting the money they have and then comparing that to the price to see if they have enough money or not.